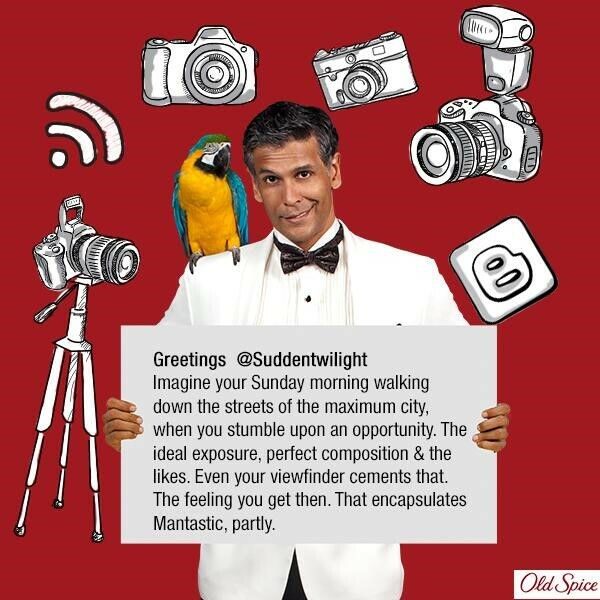 P&G’s cologne and deo brand ‘Old Spice’ has launched a campaign, titled 'Smell Mantastic' with model Milind Soman as #MrMantastic. What is really interesting about this campaign is the cheeky Twitter conversations with #MrMantastic, complete with personalised banner responses, which has struck a chord with people on Twitter. 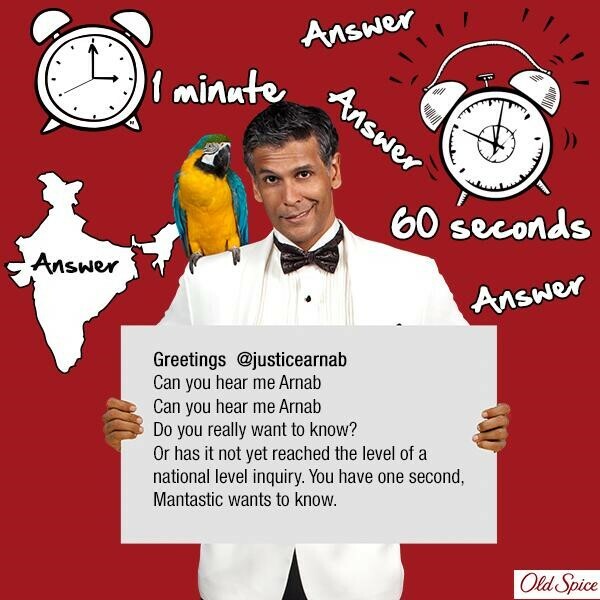 Now check out this take on ‘Times Now’ anchor Arnab Goswami. Judging by some of the answers, Old Spice does not shy away from addressing any comment, giving as good as it gets. Patterned on the international campaign which also ran in India (minus the shower scene! ), it’s nice to see an Indian campaign using Twitter so creatively. The Aam Admi Party may or may not win many seats during the coming Delhi elections; but their aggressive PR drive has certainly struck a chord with the non-resident Indian community. As part of the Aam Admi Party’s, “Adopt a constituency", groups of Indians from as far as South Korea, Washington, France, New Zealand, UK, Singapore and Seattle are working with various constituencies in Delhi to help out with the elections. This, inspite of the fact that the NRIs can’t actually cast a vote, can only support the process. From the Anna Hazare phase and the mass demonstrations in Delhi to today’s high decibel radio and outdoor campaign, the Aam Admi Party certainly uses PR well to create its plank of being a corruption free party riding on the urban voter’s support. Over the weekend, the Aam Admi Party was trending in the top ten with two different hashtags! If they do well in the Delhi state elections, always a symbolically important victory, it will be in no small measure to a concerted and well planned political PR drive. A self proclaimed sage, Shobhan Sarkar, claimed that gold treasure was buried at Daudiya Kheda in Unnao district, Uttar Pradesh. This “great revelation” came to him in a dream. The Archaeological Survey of India (ASI) has been excavating at the same spot after Shobhan Sarkar wrote to several government ministers and officials about his dream. While the ASI denies that it is hunting for gold on the basis of a dream, the incident has hardly put a shine on the image of the country’s premier archaeological body. So far the ASI has said they have discovered glass bangles, shards of pottery and toys and a part of a wall that could be around 300 years old. With literally thousands of monuments in India in poor condition, many significantly older than 300 years, the ASI would perhaps be better occupied in spending tax-payers’ money in maintaining our rich and glorious archaeological past.